Finally a finished quilt! Who would have thought..... I spend quite a few evenings over the past ten days quilting on my Janome.... I quilted in one big zick-zack pattern with lines that are barely an inch apart. I think I used about 7 bobbin wheels for this quilt. And it was hot so not the most enjoyable task.But well worth it. I so love my homage to the Ruby Star collection ! 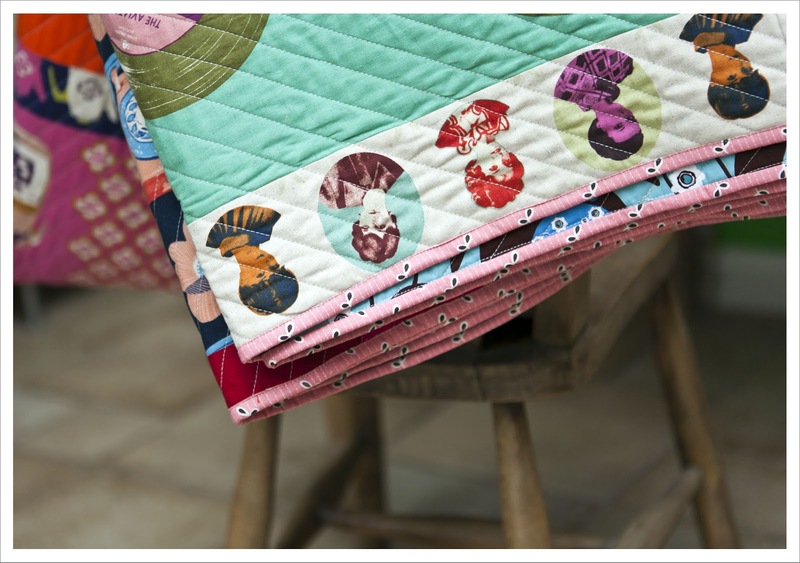 If you are familiar with Melody Miller's Ruby Star design then you will know that each collection has a couple of panel prints that combine different designs on one panel (for example the bottom right corner panel). The panels and the distinct vintage designs were what drew me to Ruby Star in the first place. So I thought I make liberal use of them in this quilt. I added solids here and there to break the pattern somewhat. The quilt back uses a precious print that I have had a long time in my stash. It is 'Coriander' from a 2007 Joe Dewberry fabric collection (so practically vintage too). 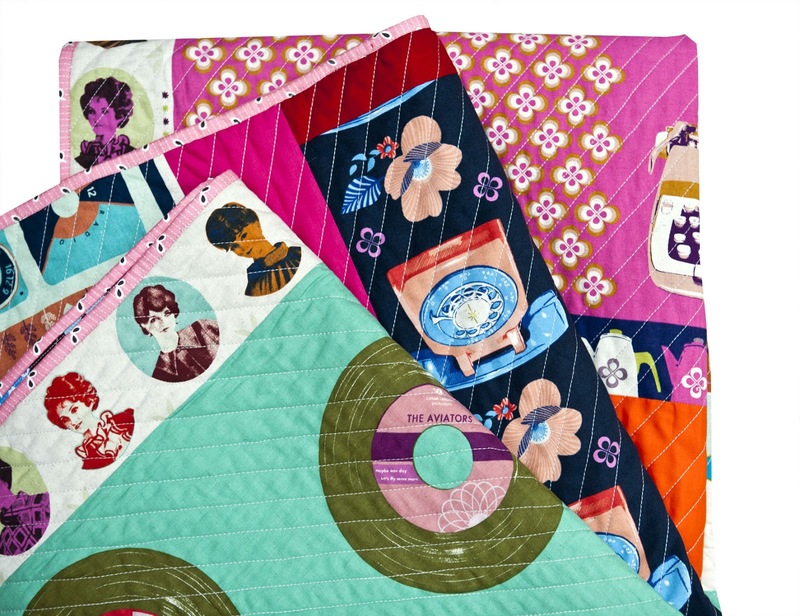 There are many favorite bits in this quilt but the undisputed best feature in my opinion is the half border of vintage ladies which has been and will always be one of my all time favorite prints. The next best bit is the binding. When I finished the quilt I was a little lost for a day or two because I could not think of what to choose for the binding. 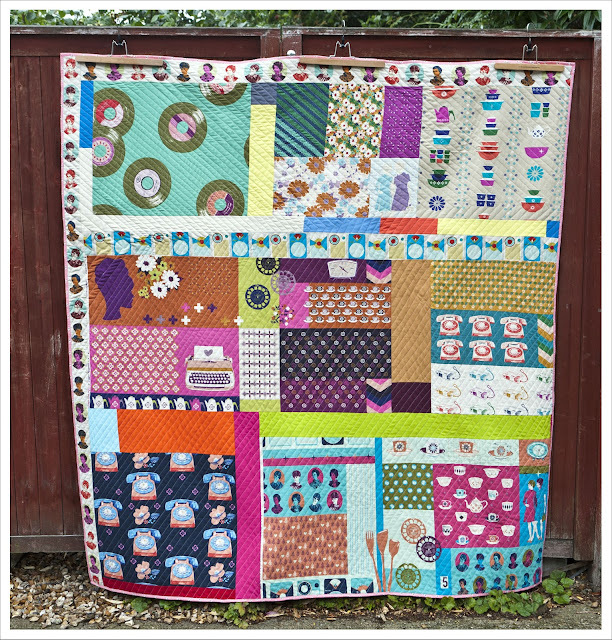 It's a busy quilt that has a lot of greens, turquoise, purples and pinks in it. First I was thinking of something that would tone the whole design down but then thought better of it. When my eye caught my 'Fleemarket Fancy' stash I immediately knew that the 'Eyelet' in pink would be the best choice. Complementary and contrasting at the same time. The quilt is fairly large with 71" x 76" inches and is sort of a middle size between sofa and double bed. Just the way I like it. The fabric are the Kokka typical blends of cotton and linen varying from 55/45 cotton/linen mix to a more lightweight blend of 85/15. 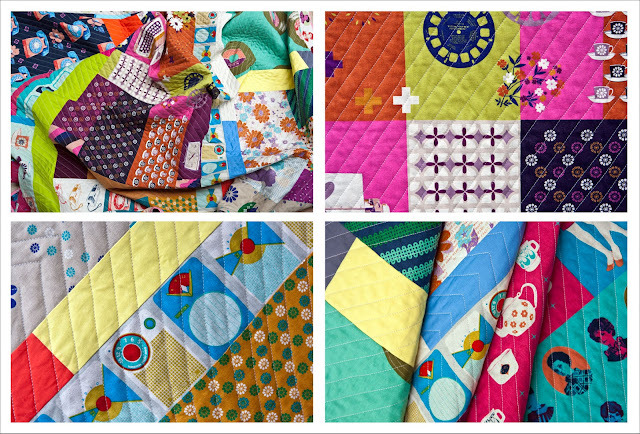 This makes the quilt a little heavier and overall more substantial than a quilt of 100 % quilting cotton. I like it and it will be very cuddly in the winter. It will also become very soft over time because linen is one of those fabric that softens with use and will overall get better the more it is used and loved. 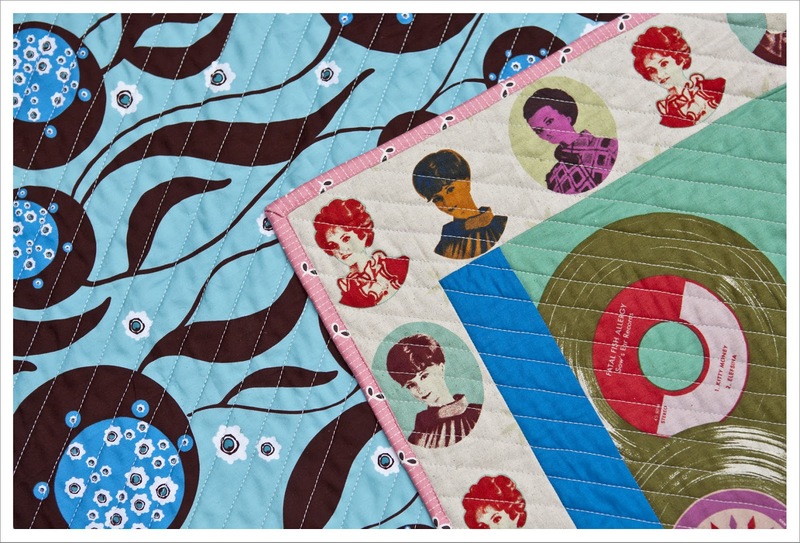 Great quilt, and the vintage ladies are fabulous! now of course I'm studying your photos as well as the quilt Judith! Love the backing, the binding choices and of course the lady half border! 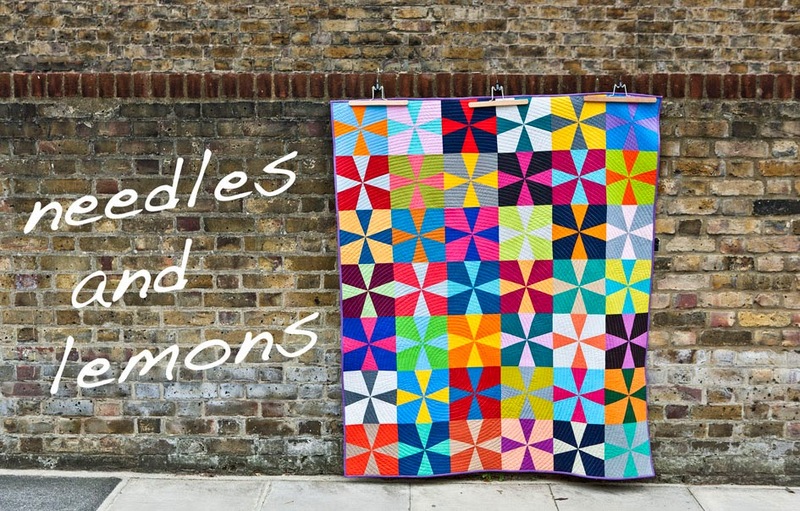 Guess they will be chatting about quilts! I love it. I've been thinking a lot about my ruby star stash as well lately and this is the inspiration I need. Just beautiful - great way to use these fabrics! Great quilt. I agree, the Fleamarket pink binding is just right and sets the whole quilt off beautifully. Oh my goodness, I'm in love with this quilt. Congratulations on a fabulous finish! "Its just so fluffy, I'm going to die!!!" 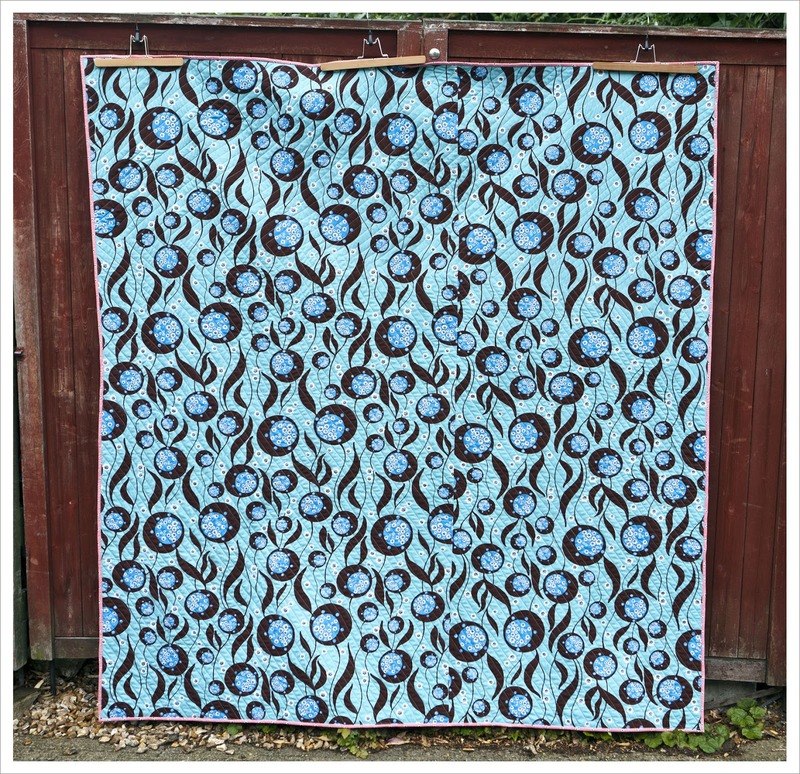 comes to mind when looking at this quilt! Its Melody Miller and improv and colour and Beautiful! It's a beautiful quilt!!! I have a melody miller stash too and love it so much I'm a bit scared to use it. Silly really, but true! This quilt is amazing Judith! The fussy-cut border of ladies is inspired - beautiful! hello Judith, i believe we're almost neighbors, and i know we "know" lots of the same bloggers, i don't know why i haven't found you before, love this quilt, and thanks for the reassurance on the linen, I've been collecting some but haven't yet been brave enough to use ignore! It's beautiful, I love how you have used these fabrics so effectively. I have those ladies sitting around waiting for purpose, being a border is brilliant! I love those ladies in the border, too!